For about three years now, India has a law that requires all companies to recover the plastic they use to package their products. The Union Ministry of Environment, Forest and Climate Change notified the Plastic Waste Management (PWM) Rules in March 2016 which mandated extended producer responsibility (EPR) for all plastic producers, importers and brand owners (PIBOs). PIBOs did not take concrete steps in 2016-17 to meet their targets under EPR. But with the advent of producer responsibility organisations (PROs) in 2018, they have outsourced their EPR targets, which can lead to a new set of problems. PROs are registered companies that collect and process waste on behalf of PIBOs. “With a PRO, producers do not physically take back the product. 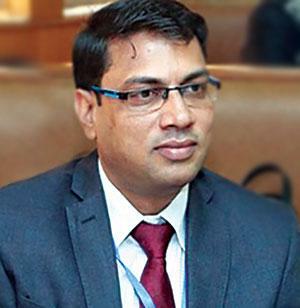 Instead, they support the process financially,” says Ashish Jain, director, Indian Pollution Control Association (IPCA), the first registered PRO of India (see ‘We ensure waste compliance’). In 2018, five PROs registered with the Central Pollution Control Board (CPCB)—IPCA, GEM Enviro Management, NEPRA Resource Management, NEPRA Environmental Solutions and Shakti Plastic Industries. Many more are likely to register in the coming months. PROs have undertaken pilot projects in big cities, including New Delhi, Mumbai, Bengaluru, Ahmedabad and Guwahati. In Delhi, IPCA claims to have diverted 2,000 tonnes of plastic from landfills in 2018. In December 2018, CPCB constituted a nine-member core group to frame the national framework for implementation of EPR and define the responsibilities of PIBOs, PROs and the government. Members of the committee include PROs, industry representatives, and one member each from CPCB and the United Nations Development Programme. “The core group is trying to push this PRO-centric mechanism,” says a government official, requesting anonymity. So, are PROs the silver bullet to solve the problem of plastic pollution? “As good as this sounds, promoting only PROs will not be a sustainable approach for EPR compliance,” says Shibu K Nair, programme director (zero waste), Thanal, a Kerala non-profit. Most PROs meet their targets by purchasing waste from the informal sector—individual ragpickers as well as major aggregators. This will just perpetuate the current system of people disposing unsegregated waste and ragpickers acting as scavengers. But more importantly, it will build an alternate waste management system against the one run by urban local bodies. “It is to be noted that in most of the countries where EPR has been well-implemented, there was already a system of source segregation in place. Municipal bodies were mandated to collect segregated waste from households. In some cases, residents had to pay more user fee if they did not give segregated waste. Sweden, Norway and Japan are cases in point,” says Nair. “An ideal EPR framework should integrate all. PIBOs should work with urban local bodies to manage waste after segregating it into biodegradable, non-biodegradable and domestic hazardous categories. They can also contribute to development of infrastructure for EPR implementation, if necessary,” says Swati Singh Sambyal, programme manager, Environmental Governance (Municipal Solid Waste), Centre for Science and Environment, a Delhi non-profit. They should also be responsible for creating waste exchanges to ensure a ready market and value realisation by waste collectors, segregators or recyclers of different waste categories. They must also set up systems to keep a proper account of plastic waste. “To give effect to this system, an offset mechanism has to be introduced under Section 9 of the Plastic Waste Management Rules, 2016. 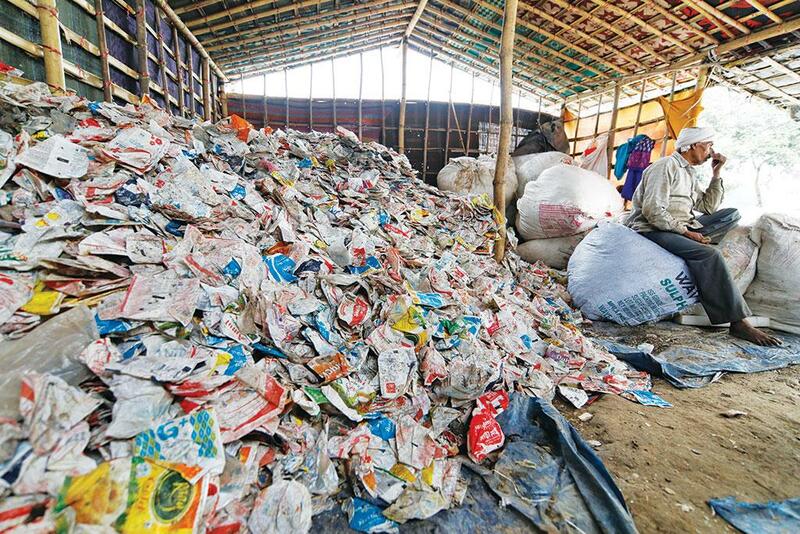 Under this mechanism, plastics collected and recycled directly or through urban local bodies or a PRO will count for offsetting the EPR targets of the company,” says Sambyal. “Waste management is the responsibility of urban local bodies. Support by producers would reduce their burden, but they must be informed of the process of disposal and should ensure that the recycling process is green,” says D G Nagaraju, health officer, Mysuru Municipal Corporation, Karnataka. What is IPCA doing for extended producer responsibility (EPR)? IPCA is working in 12 cities to divert the non-recyclables. We have collaboration with many brands and collect waste from informal waste collectors or their aggregators. We take the waste to our designated centres where it is further segregated. The segregated waste is sent to the nearest partner cement plant or waste-to-energy plant for disposal of non-recyclables and to channelise the recyclables. We ensure end-to-end waste compliance. How are you integrating the informal sector into this? We strengthen the informal sector because we buy the non-recyclable plastic waste from them. The rate varies depending on the logistics cost, but mostly we pay Rs 5-6 per kg for the multi-layered packaging waste. A value is created to the non-recyclable waste through the EPR system, which otherwise ends in landfills or gets burnt. How is the response of the industry? The industries are interested in playing their role and abide by the rules. Till now, the interpretation of the rules on EPR have been different for different states, but the producers want a uniform plan for the whole country.